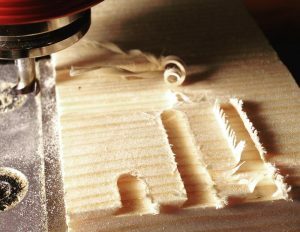 I’ve spent hours searching for a commercially-made router bit that has the right dimensions to cut the dovetail slots in a traditional reed pan. 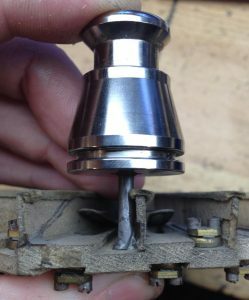 It needs to be an unusually small diameter, but if you want to be able to cut the top slots after installing the chamber side walls as it was done originally (some of them undercut the walls), it needs to have a disproportionately long ‘neck’ between the cutter and the shank. On the plus side, the slot is quite shallow so the neck doesn’t need to be ridiculously skinny. In the end I decided to make my own. Next I extended some more stock from the collet and turned the ‘neck’. On my first attempt, swarf obscured my view of the work and I accidentally retracted the carriage too far to the right and put a groove in the cone area. There was no option but to start again! 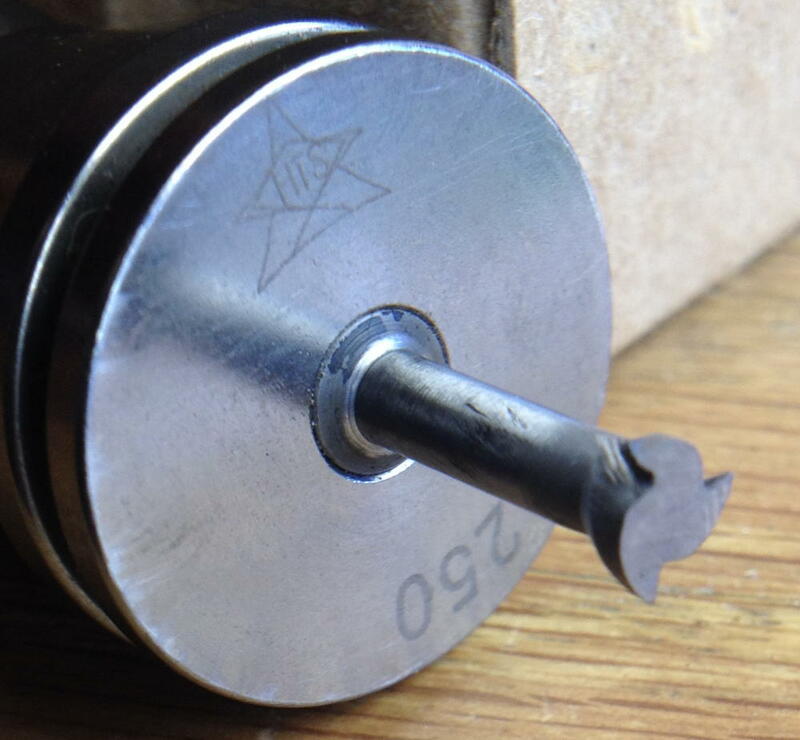 The second time, I used the tailstock as a right-hand carriage stop to protect the cone. 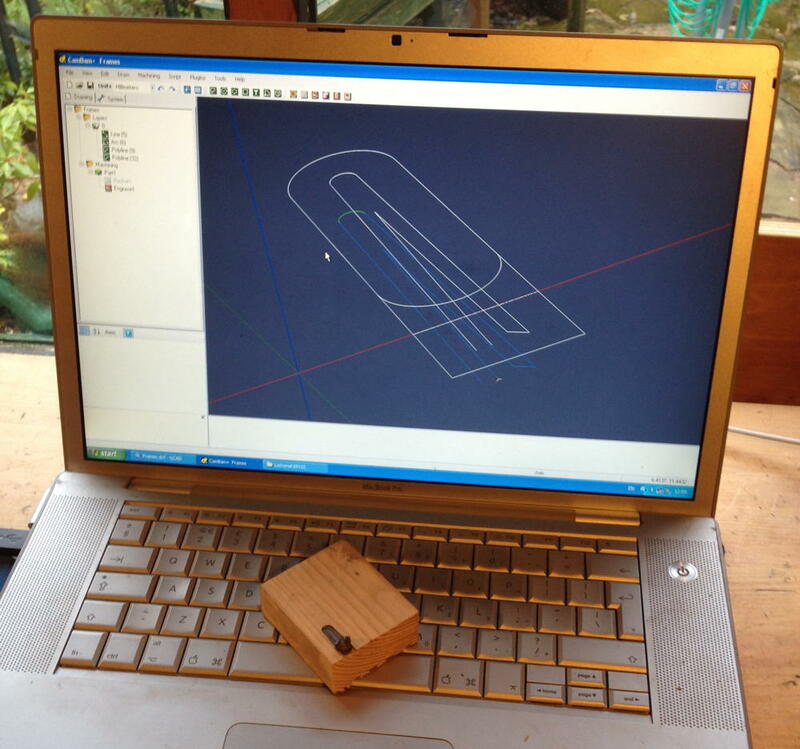 Programming the CNC mill to machine the slots is surprisingly complicated. The CAM software I’m using doesn’t understand how to cut a pocket with a tool that can’t plunge straight the workpiece and needs to enter and leave the edge of the material. I found a way to trick it into doing what I need, but the entire process filled nearly two pages of my logbook, and I need to do it all again for every size of frame I need to cut! Another problem I ran into is that the outer dimensions of the antique Lachenal reeds I’ve been copying are a bit variable. 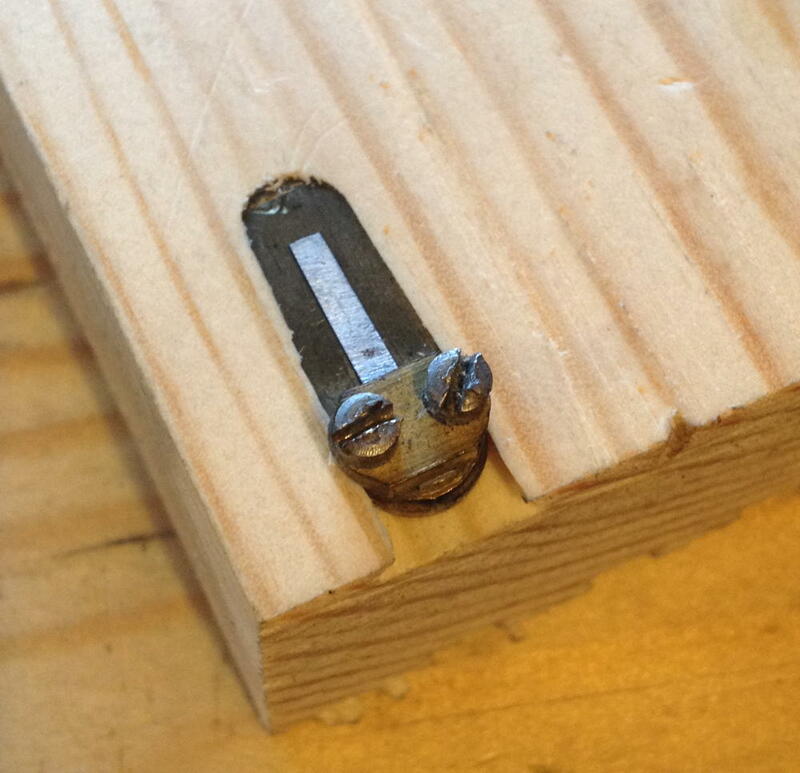 Not by much, but a tenth of a mm change in width makes the difference between a snug fit and a loose one. This one fits very well – I can throw the block of wood in the air and catch it and the reed is still nicely seated – but the reed taken from the slot next to it (nominally the same frame size) is loose enough that it would fall out. I think when the instrument was built, somebody must have spent a while individually fitting each reed to its slot. 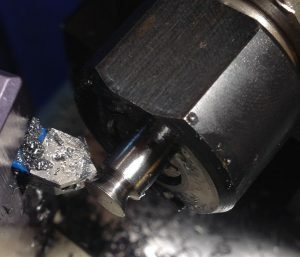 Luckily my CNC mill (which I’m using for both the frames and pans) is repeatable to tight enough tolerances that I shouldn’t have this problem. Why not settle on a uniform shape, independent of reed size? 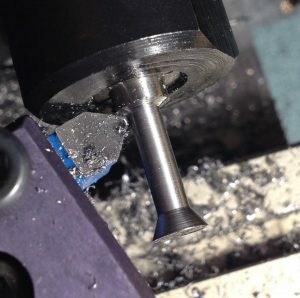 One angle for the taper, and the same “tip circle diameter”. But that’s maybe where you are going. Good question, I have indeed been considering that. Also the fact that eventually there’s no reason why I couldn’t have a different vent slot length for every pitch (in order to make the profiling a bit simpler), and make the frame length some constant amount longer than the vent slot, so each pitch would end up with a different frame length. If the taper and tip diameter are standardised, it would be easy to swap around reeds that are close in pitch (mainly applicable to Anglo players). I measured the frame sizes from a Lachenal English. 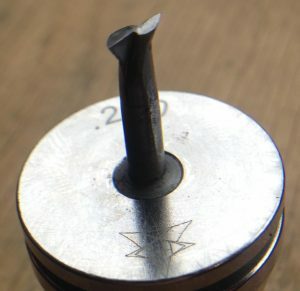 There are 11 sizes, they seem to be nominally about 2mm thick (though a bit distorted from the punching process), and all of them have a 4° taper. The shortest size has a tip diameter of about 5.55mm and the longest is about 6.05. Between the two though, it isn’t a linear progression: most of them are around 5.9mm.